Experience what it’s like to be color blind and gain new understanding of how we view color. 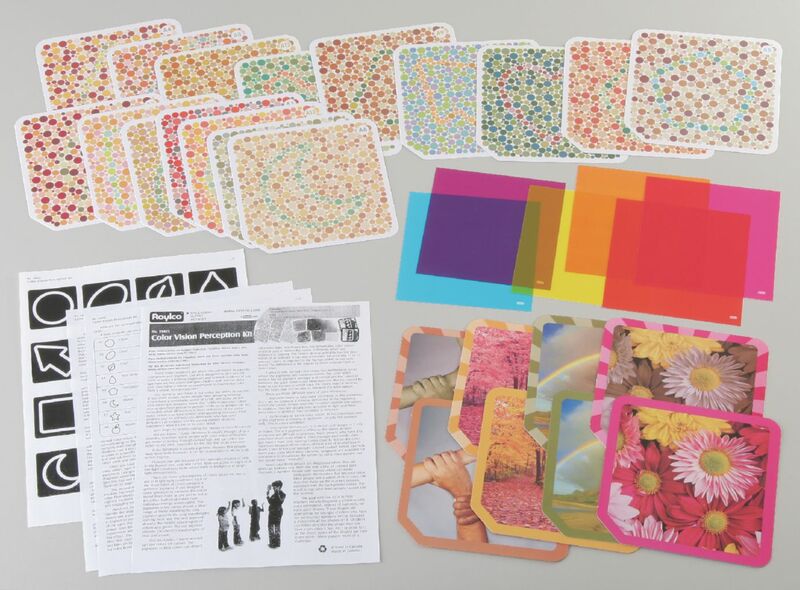 This kit features hidden image cards featuring a simple object drawn in a series of dots; this image will not be visible to colorblind students. Ask students to identify the camouflaged image, then flip the card over for another challenge. A vivid scribble is pictured. Place the included color filters over the scribble to make another image “magically” appear. Using the filters, these images will appear for both normally sighted and color blind students. Kit includes teacher’s guide, 24 double-sided cards, and six colored filters.